Ambassador Philippe J. Lhuillier called on Mr. Jose Luis Kaiser, Director General of International Trade and Investments of the Spanish Ministry of Economy, Industry and Competitiveness on 5 February 2018 at the Ministry’s headquarters in Madrid. Director General Kaiser, who visited Manila in November 2017 to attend the forum on Philippines-Spain Multilateral Partnership program, reaffirmed Spain’s interest in participating in the government’s projects on infrastructure, particularly in its “Build, Build, Build” program; renewable energy development; and water services. He also expressed interest in enhancing financial cooperation between PH and Spain. To underscore the Philippines’ willingness to work on boosting bilateral trade and investments between the two countries, Ambassador Lhuillier encouraged the Spanish side to send high-level representatives to the Philippines to meet with their counterparts from various relevant agencies; organize business-to-business meetings between PH and Spanish businesses; and sign agreements on economic cooperation. 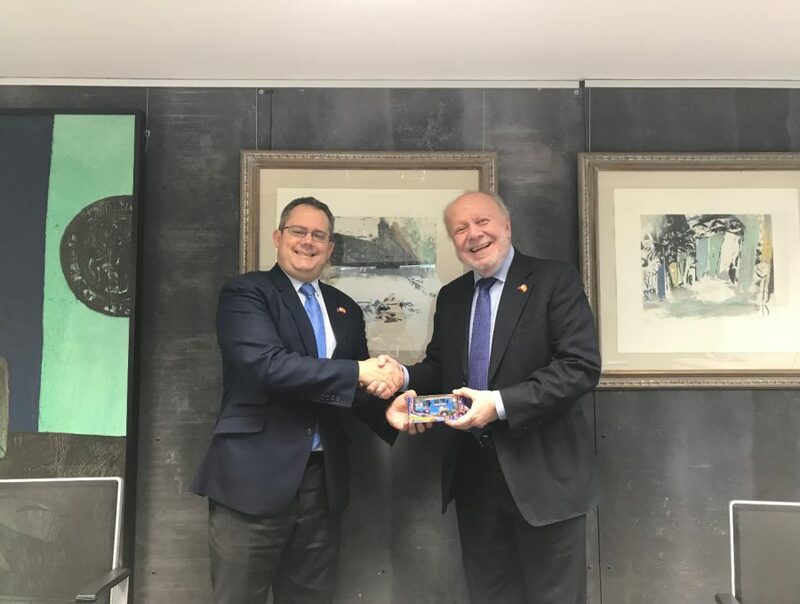 As current Chairman of the ASEAN Committee in Madrid (ACM), he further expressed the ACM’s wish to conduct a joint call on Minister Luis de Guindos, to present ASEAN’s potential as Spain’s key economic partner in the region.